Hopkins at 2012 media day. Stephen Hopkins has left the team. 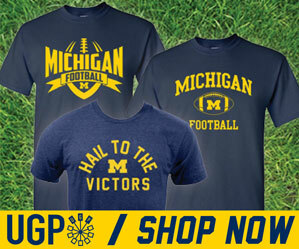 I love the University of Michigan and everything it means to be a Michigan Man. I look forward to getting my degree. Responding to questions as to "why/when? 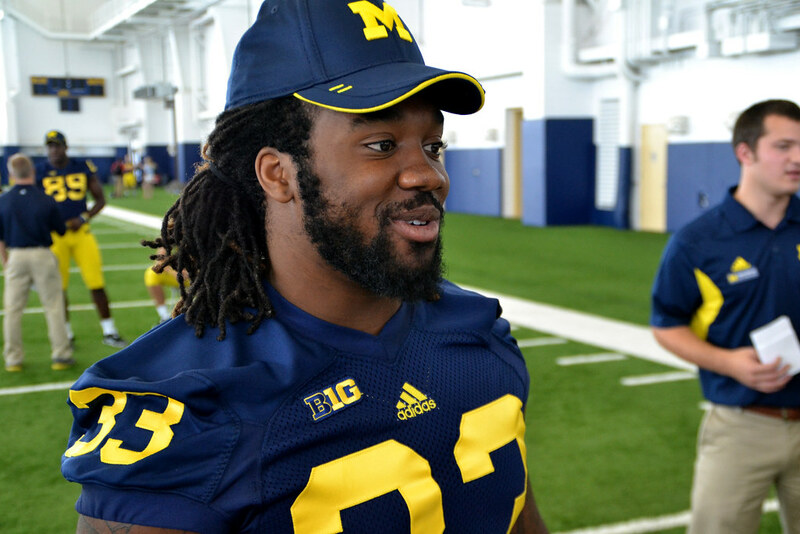 ", Hoke simply said, "You'd have to ask him." No idea how this all went down, but I can assume it was an issue of lack of playing time. Hopkins saw no carries this season despite the struggles of Fitz and Rawls. During his freshman year, in 2010, Hopkins had 37 carries for 151 yards. Under Hoke in 2011, those numbers dropped to 11 rushes for 43 yards. Obviously, he wasn't satisfied with that. Odd that Hoke was in no mood to go into details, not even a "we wish him the best" or anything like that. I'm guessing this might not have been a clean break up.